What fantastic news Bernadette! Congrats on your book. (Don’t know if you remember but we met at the Gold Coast conference. I’m a friend of M’s. 🙂 So great to see in print what you were telling us about last August. Thanks so much Victoria. 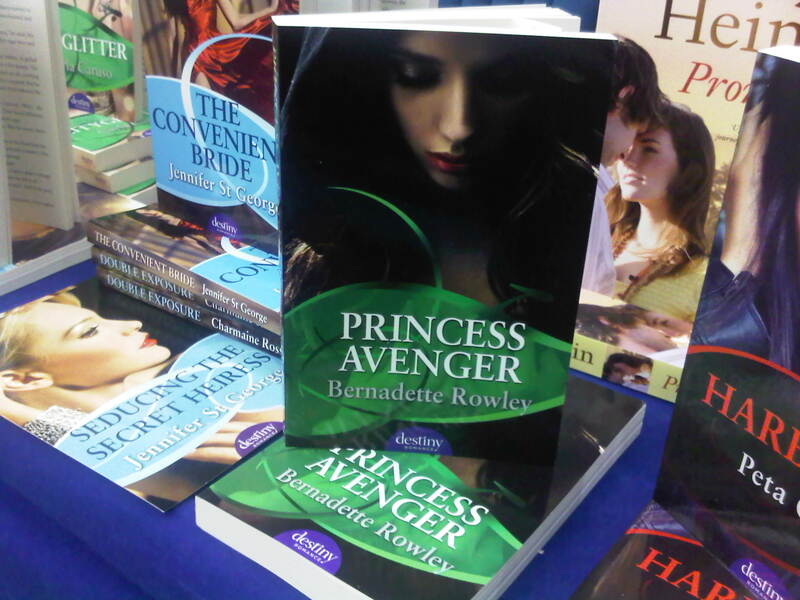 If you see Princess Avenger in the post office, can you get someone to take a pic of you holding it and email it to me please? That would be so cool if you could do that! Brilliant, Bernadette! I shall go lurking round Australia Post shops. Do you know if it’s Australia wide (i.e. including little old Western Australia)? Thanks Venetia! I believe it is Australia wide but mainly the core Australia Post stores rather then the licensed post offices. Apparently 660 stores will have stock. Any news of your imminent release? That’s brilliant news, Bernadette!! A wonderful recognition of your writing and the other Destiny authors. Penguin must be delighted!! Thanks Helene, I agree it’s an innovative marketing idea and I think there’ll be more in store. That’s wonderful news, Bernadette. Congratulations!